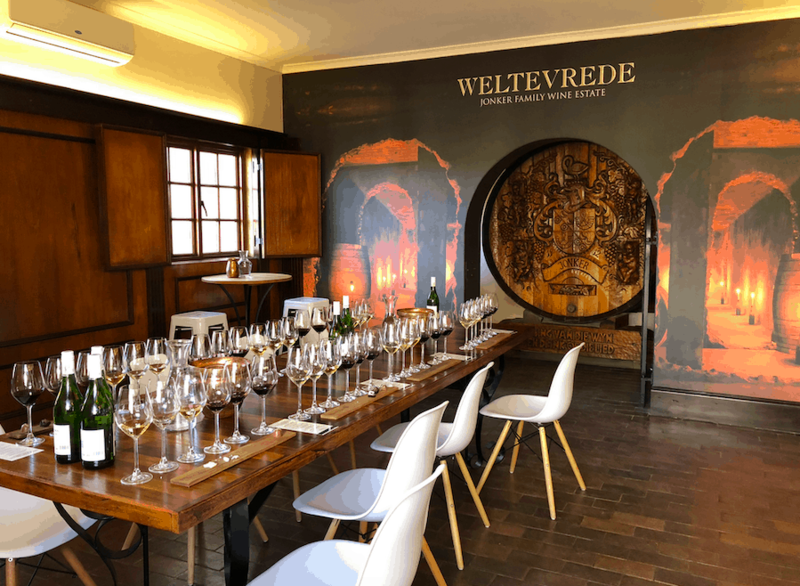 Along the outskirts of Robertson in Bonnievale is Weltevrede Estate. I had visited this wine estate before during the Wacky Wine festival and always wondered what the underground tasting in an 80-year-old, concrete, wine fermentation tank was like. It is most definitely something I would recommend to add to your bucket list of wine tasting experiences! Since 1912, five generations of the Jonker family sons have tasted the fruit of these same old vines. 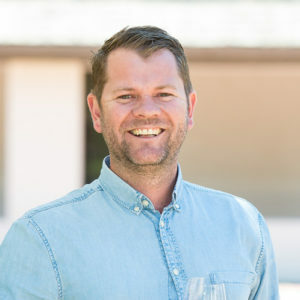 Lourens Jonker, who was the 3rd generation owner and winemaker really was the one to put Weltevrede on the map having been awarded National Farmer of the year Award from the Agricultural Writer’s Association of South Africa in 1996 and also served as Chairman of KWV. 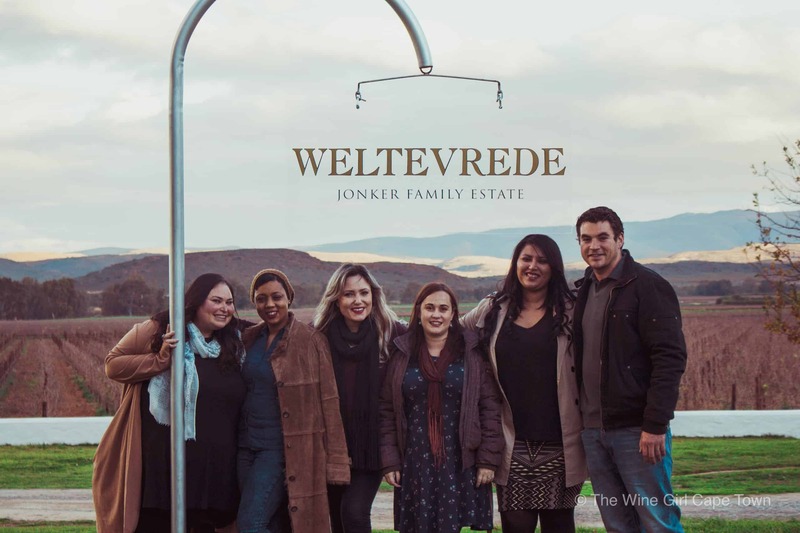 The name ‘Weltevrede’ means ‘to be content’ in Afrikaans and I most certainly was when visiting this estate. The wine tasting room is extremely small however the outside area is pretty spacious. 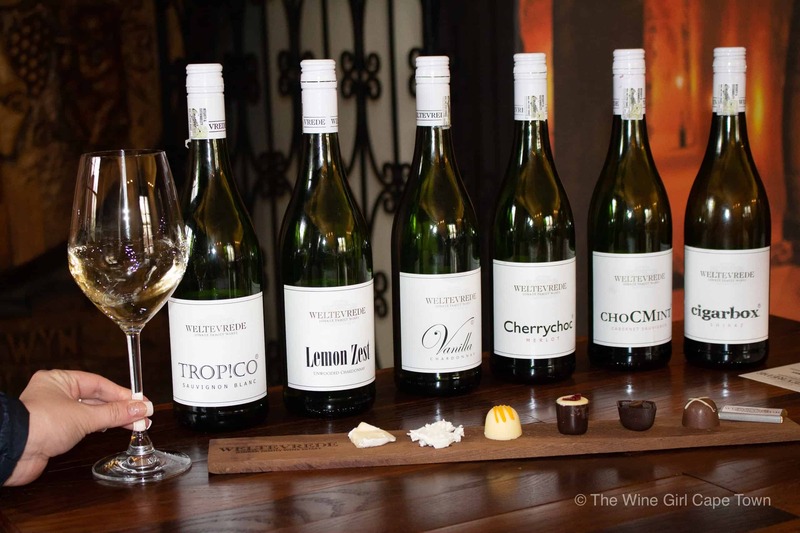 General Wine tasting is complimentary and they have a new Cheese and Chocolate wine pairing too for just R100. 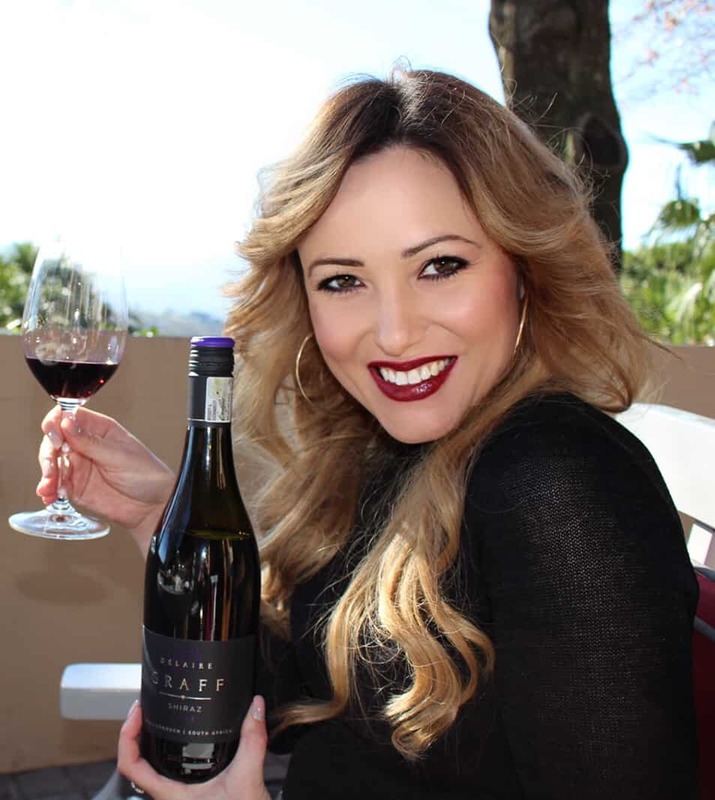 Definitely, their most popular range of wines is their Simplicity Collection and are named after the leading characteristics one can expect from each one. With names like Vanilla, Lemon Zest, Cherrychoc, Chocmint and Cigarbox, everyone will be able to find a favourite. They have other premium wines as well as MCC available for tasting too. The underground Wine Tasting Experience must be booked prior to your visit as it involves a guided tour and wine tasting. Learn how MCC is made and listen to some interesting stories about Mandela and some winemaking nuns from Uganda! Yes, NUNS who make wine! 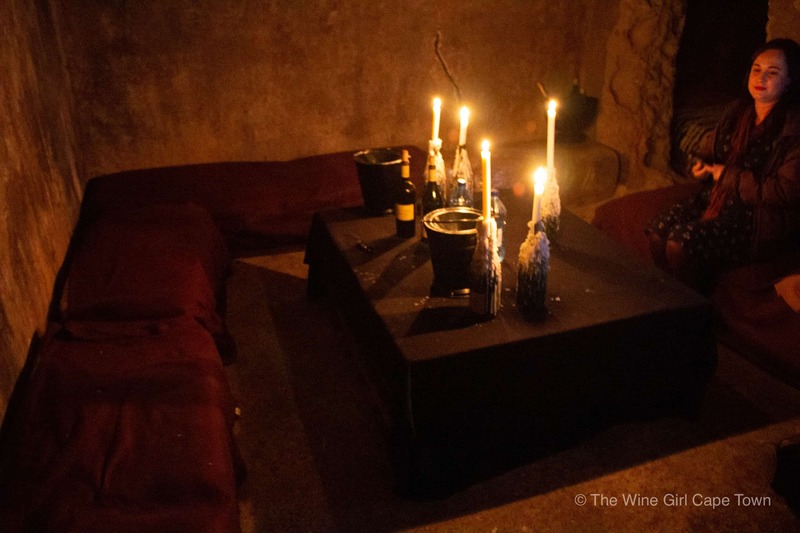 It was both spooky, intimate and exciting to taste the wine underground. It’s a lot cooler so it would be blissfull during summer. 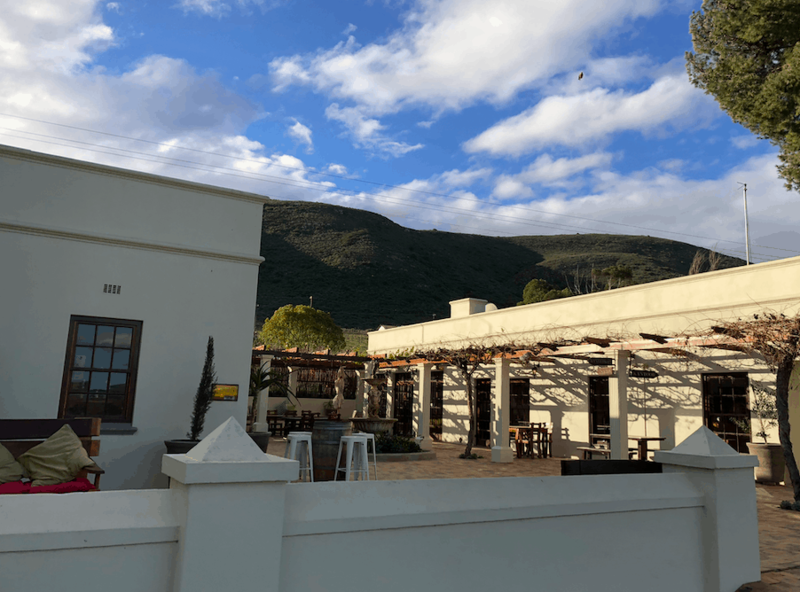 There is a Bistro, outside area and wedding venue at the estate. I hear the Bistro is closed at the moment though. It’s a great way to spend the day with family and friends alike. I would not recommend bringing younger children however they will not feel unwelcome as there is a large grass area for them to play on. Overall I had a great time! So which farm is next?